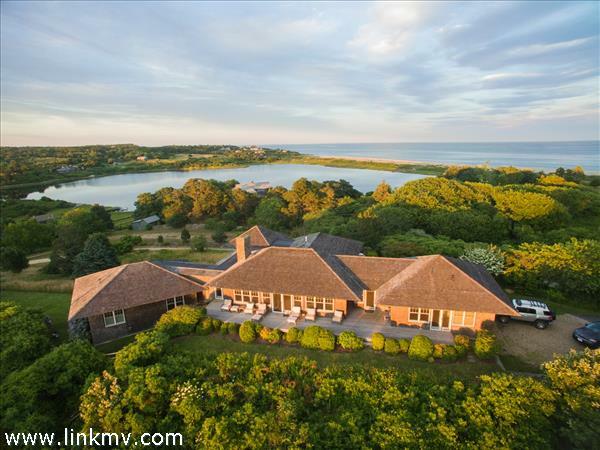 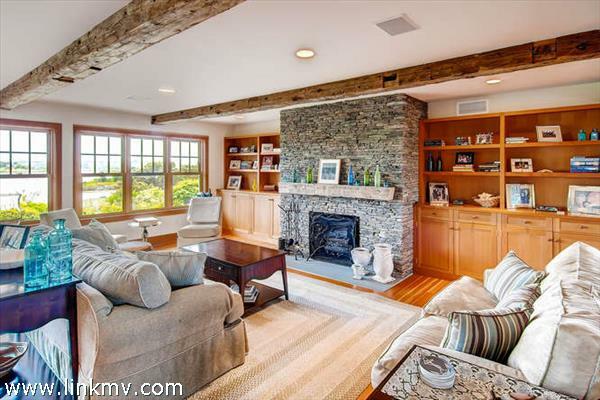 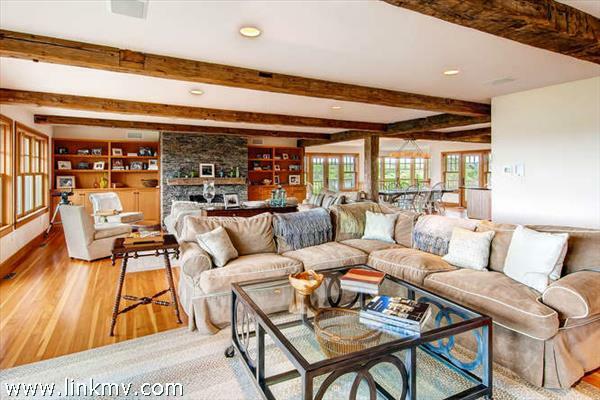 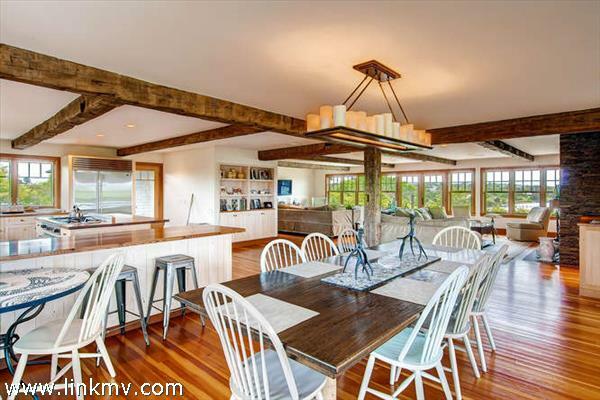 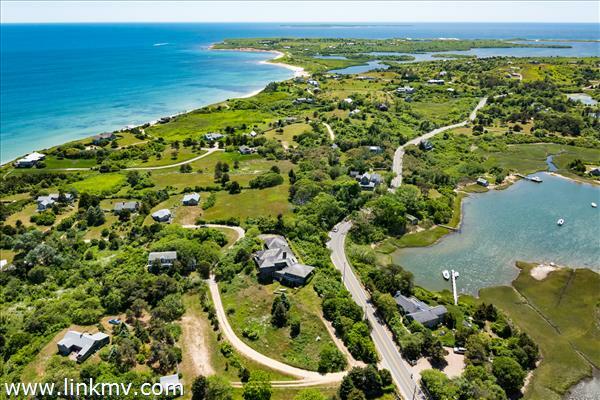 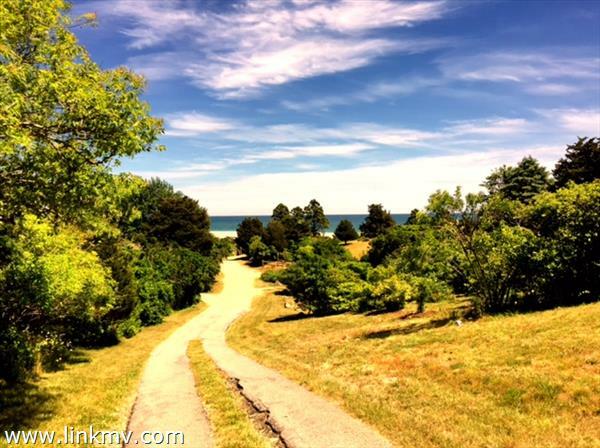 A substantial Tom Tate built home on 1.2 acres in Chilmark, designed to work with the landscape to maximize the spectacular water views from almost every window. 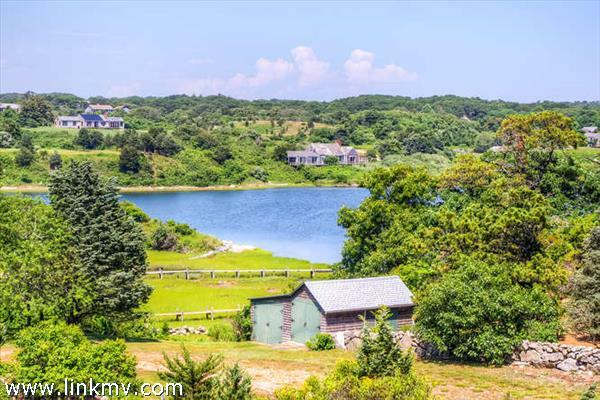 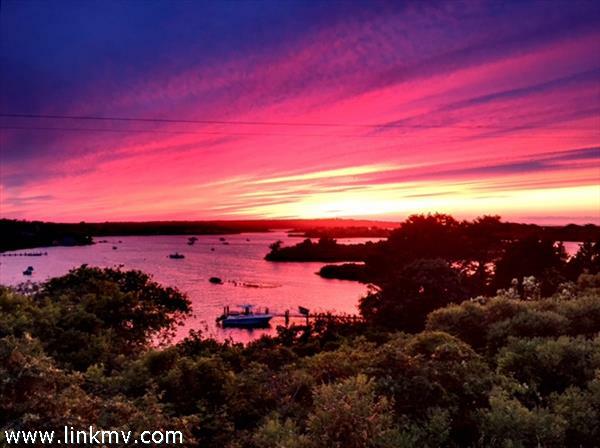 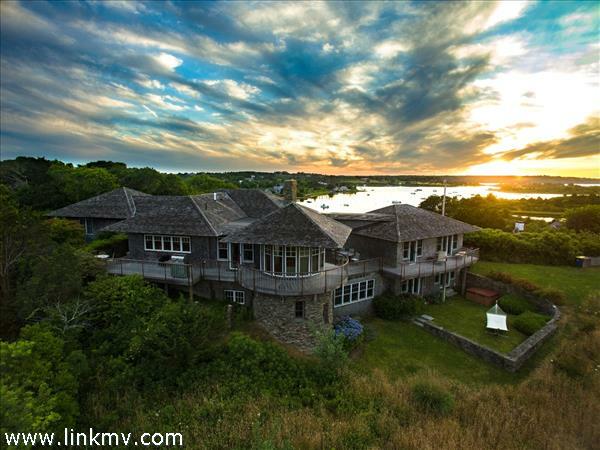 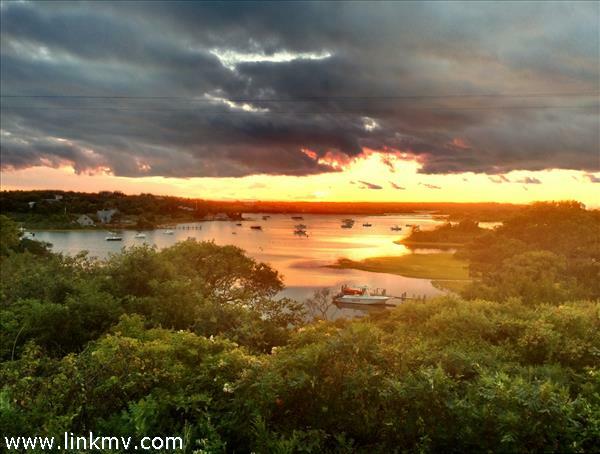 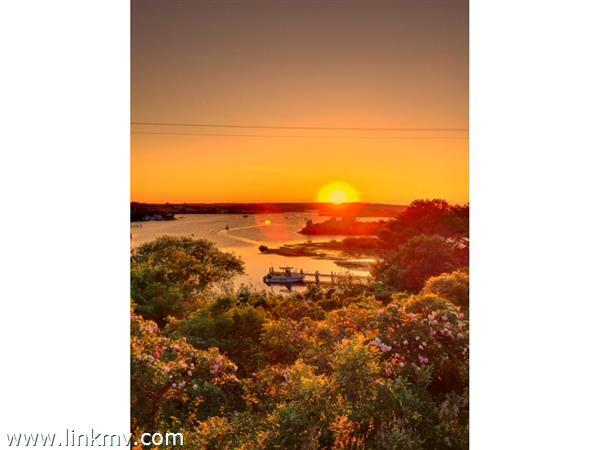 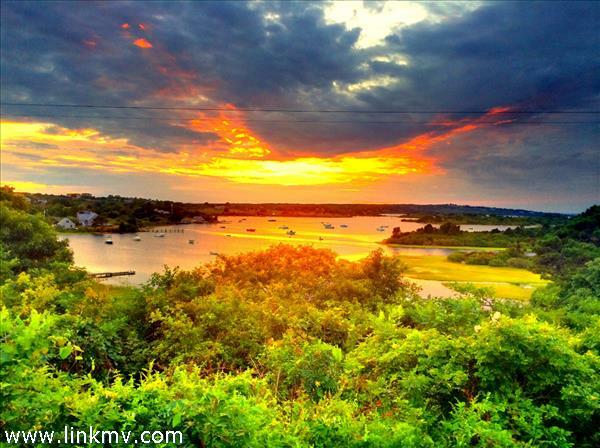 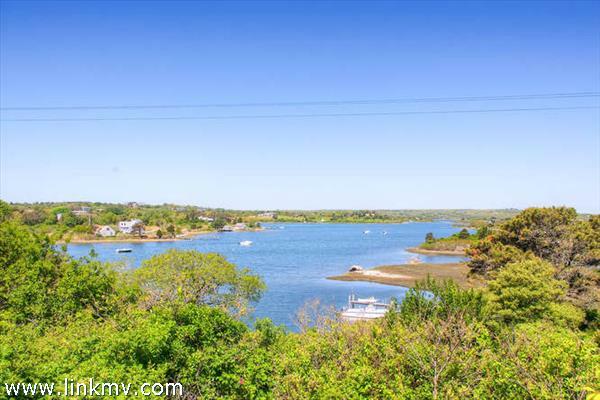 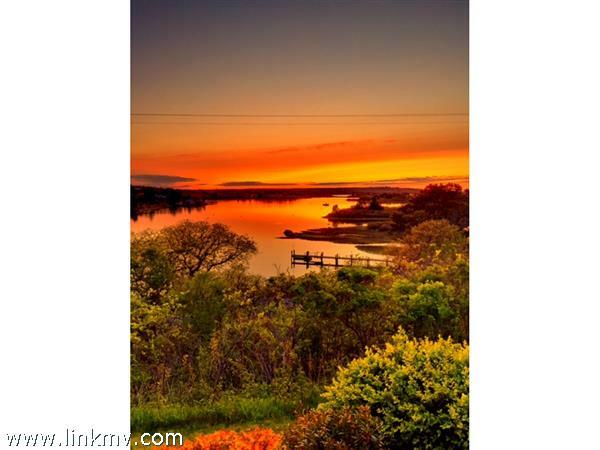 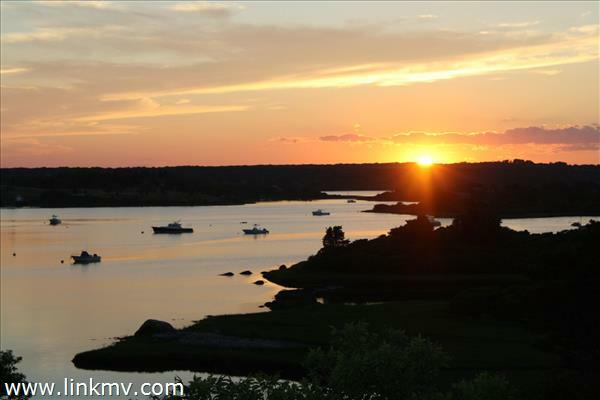 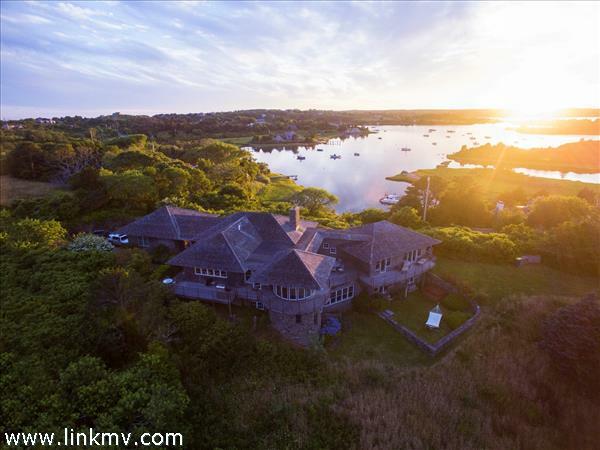 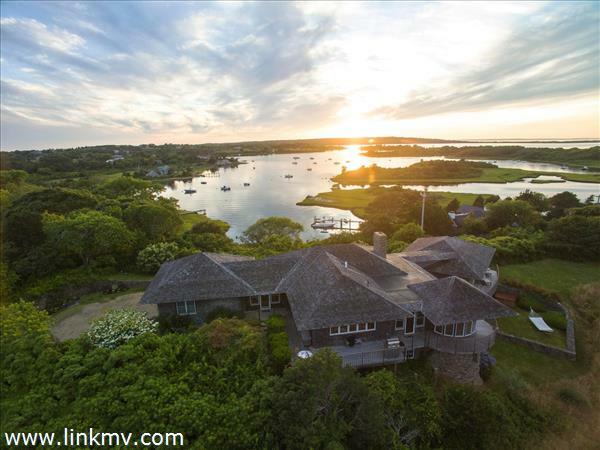 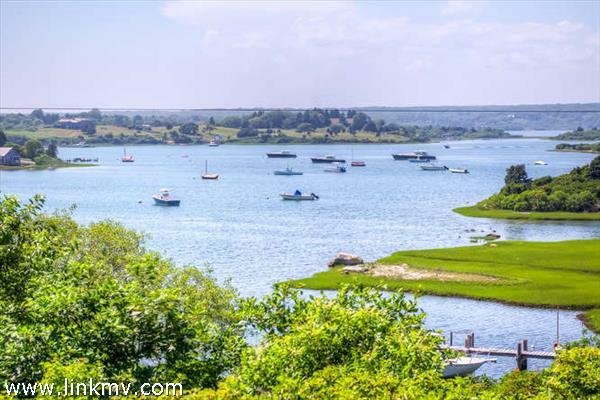 Experience the most amazing sunrises and sunsets with panoramic views over Nashaquitsa and Menemsha Ponds and the Elizabeth Islands to the North, with Menemsha and Stonewall Ponds and Atlantic beach to the south. 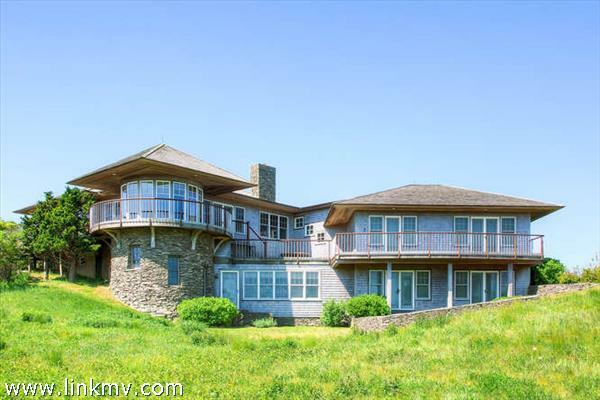 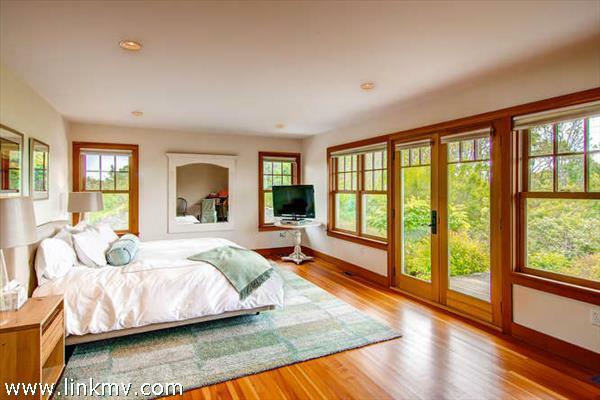 At over 4,600 square feet, this fabulous 4/5 bedroom, 3 and a half bathroom home has been thoughtfully designed with both year round living and summer entertaining in mind. 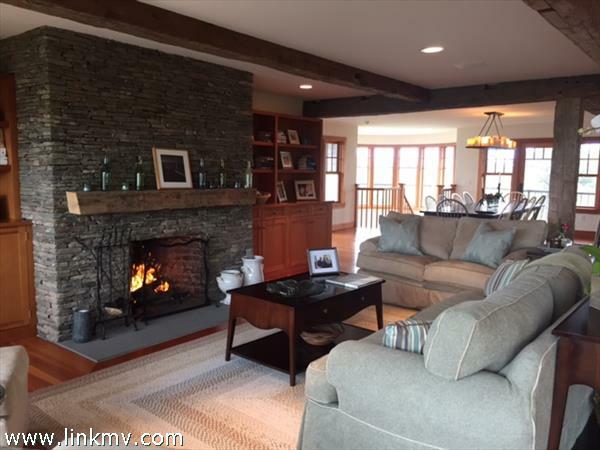 The grand entrance foyer separates the master bedroom suite on the south side of the main level from the open living room with feature fireplace and doors to the decks. 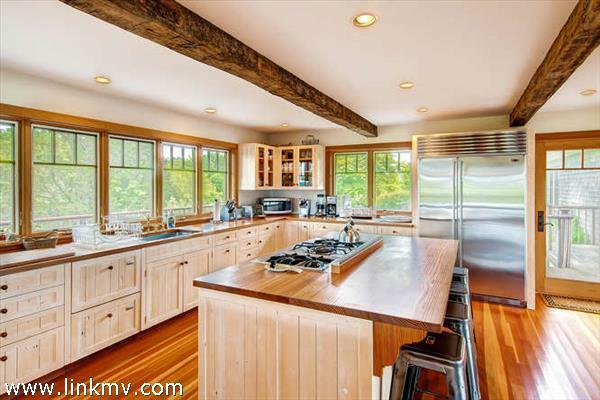 There's a superb open gourmet kitchen with custom heart pine counter tops and top notch appliances and adjacent large dining space. 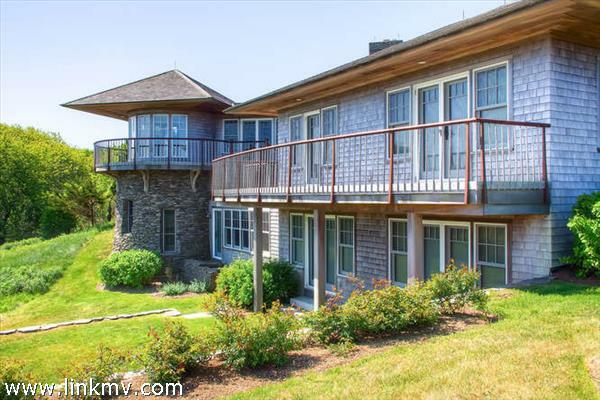 There are multiple doors to all the outdoor spaces, and decks span the whole length of the home. 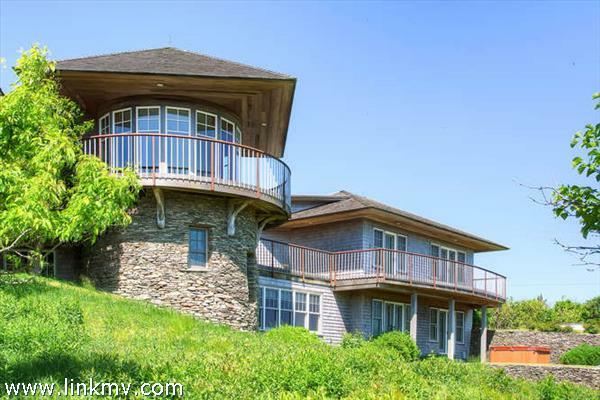 Two staircases take you down to private guest bedrooms, baths and a great family / hang out space with doors to private hot tub and patio. 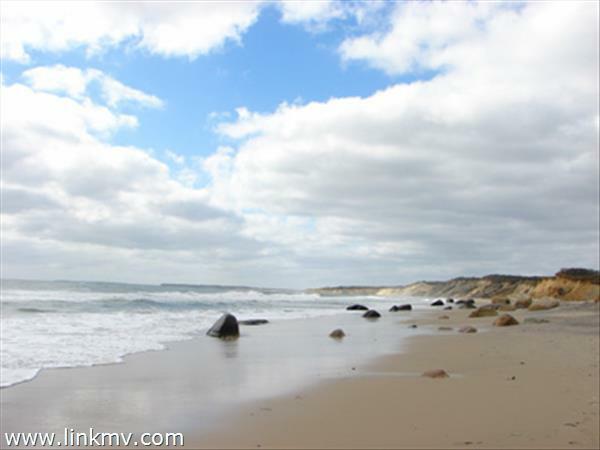 It's a short stroll to Stonewall Beach and the boat launch on 'Quitsa pond. 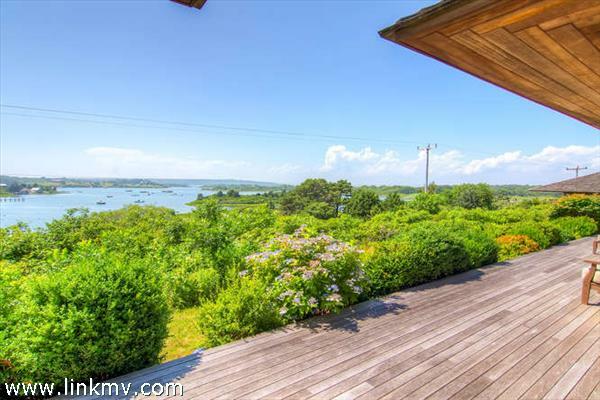 This property must be seen to be appreciated. 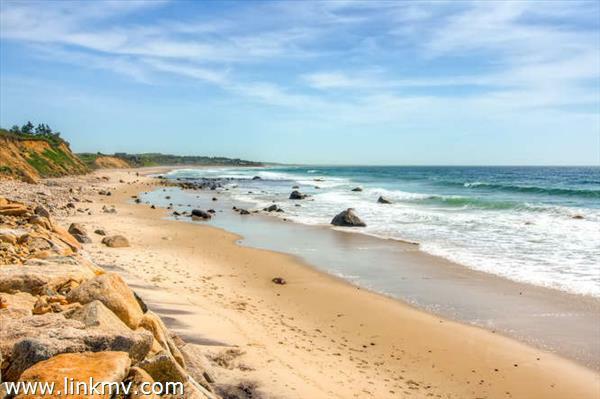 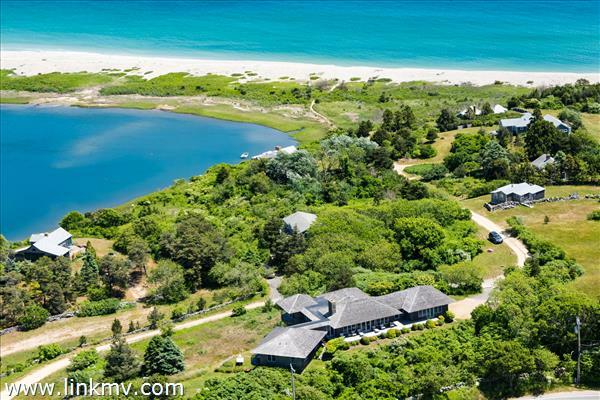 Steps away from your own private access to Stonewall beach. 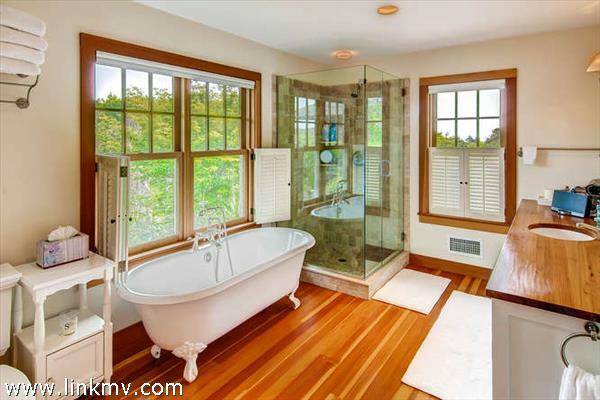 Strong rental history. 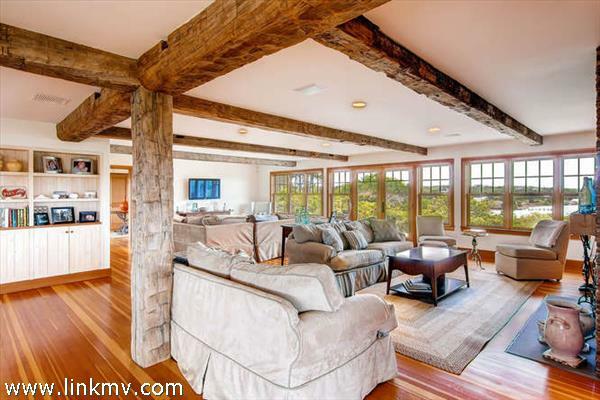 Basement Description: Finished basement with great living space and easy access from the inside and outside.